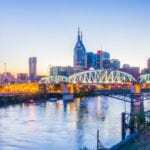 NASHVILLE, TN — Nissan North America received the inaugural Benchmark Award from the Rainbow PUSH Coalition, an initiative of Citizenship Education Fund, for the company’s work in support of minority companies. 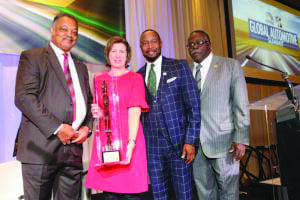 The award was presented at the 18th Annual Rainbow PUSH Global Automotive Summit Business Luncheon today in Detroit. Nissan was recognized specifically for its work with Jeffrey Willis’ Emma Hill Manufacturing, an original equipment manufacturer of floor and cargo mats for the automotive industry based in LaGrange, Georgia. Soon after launching Emma Hill Manufacturing, Willis landed a contract with Nissan and began a partnership with Nissan’s Supplier Diversity team to prepare the company’s infrastructure for a successful launch and stable production. Nearly 40 percent of Nissan’s consumer base identify as multicultural, and we understand that this base is a driving force for our success. Through our Supplier Diversity Initiative, Nissan is committed to encouraging relationships with diverse suppliers such as Emma Hill Manufacturing. The Benchmark Award is given to organizations, companies and individuals that create best practice opportunities through creative methodologies and unsolicited management strategies to accomplish a successful outcome.